Jean Tormey is currently Curator of the Early Years and Family programme at Tate, where she has worked since January 2013 - mainly on the Big and Small outreach programme of events, projects and resources at Tate Britain, but also on large-scale events and drop-in programming across both Tate sites. Prior to this and after moving to London in October 2011, Jean worked at the Whitechapel Gallery as their Schools & Family Curator where her work included setting up a schools’ residency with Heather and Ivan Morison and co-commissioning the Children’s Art Commission, ’Boys and Sculpture’ by Eva Rothschild. Prior to this, Jean worked as the Butler Gallery’s Education Curator, where she initiated Red Square, the Gallery’s youth programme, and co-edited ’What is Art’ a publication written by children in collaboration with Kids’ Own Publishing Partnership. Jean started off studying art history and arts management, and through her work in galleries and education has become increasingly interested in collaboration, participation, community and its relationship to ‘the institution’. 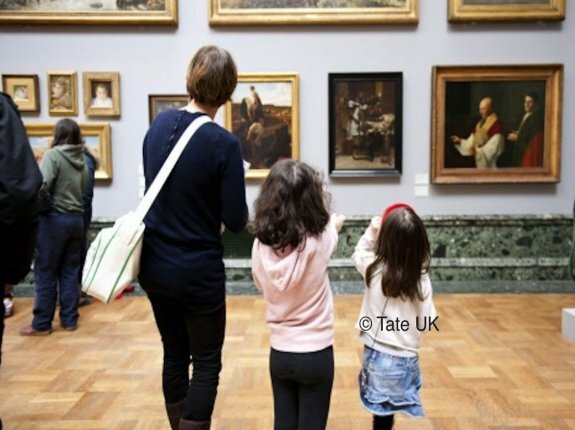 At Tate, I work with a team of 5 brilliant people on our Early Years and Family programme - the Convenor, who heads up the programme, and 3 Assistant Curators - along with a team of about 25 causal staff who support our weekend, holiday and off-site/ project activity. We’re about to embark on a particularly exciting and busy time at Tate Britain, with the opening of a suite of new learning spaces at the end of November - which we are prefacing with a major Family Festival on the weekend of the 2nd of November. We are also about to move into the final 6 months of Big and Small, a 5-year Big Lottery Funded local engagement project. I would like to take advantage of this busy period to discuss the different strands of programme we are concentrating on at the moment - talking to the artists and staff who are making it happen, and sharing evaluation and documentation during this time, along with references to similar activity happening elsewhere. As is the norm with all teams in the Learning Department at Tate, we frequently discuss why we do what we do, and our work with artists always involves investigating a particular question - about contemporary art practice, about the Tate Collection, or about participation itself. On reflection, the questions I’ll be tackling over the next 2 months are similar to those I have been asking myself over the past few years while working in different galleries. As my work is now more focused than ever on Early Years and Families’ practice, I have the opportunity to think about these questions in a more focused and comprehensive way. I hope to discuss these questions by reviewing at least 3 major strands of our programme - the BP Family Festival, Open Studio and Big and Small - discussing why and how they were set up through interviews with staff and artists, and reviewing their current status through evaluation and documentation.